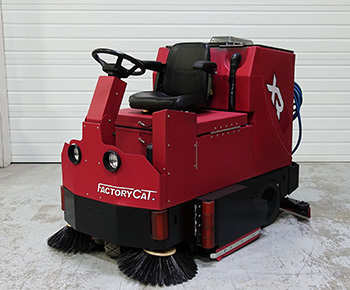 Super clean FactoryCat XR-40C with a cylindrical scrub head. 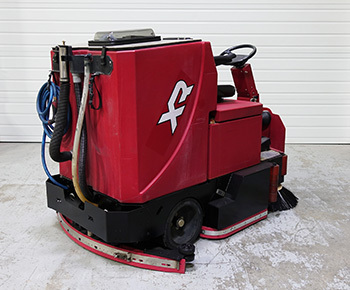 We have refurbished this machine and it’s ready to start cleaning for you. During the refurb process we rebuilt the head and squeegee. All new wear parts were installed. Machine was thoroughly cleaned and painted. Includes new batteries and charger. The Central Command II systems on all of our Rider machines include: a LCD readout, on-board machine diagnostics, and 3 different hour meters. Also, if machine batteries become too discharged, the XR automatically shuts down all systems except "transport", enabling the operator to still make it back to the charge station. 40-inch Width - 43,200 sq. ft./hr. 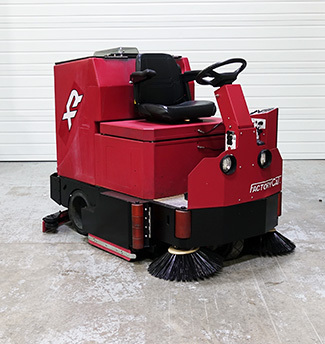 This machine is equipped with a cylindrical brush and has the added benefit of sweeping up debris while scrubbing simultaneously. 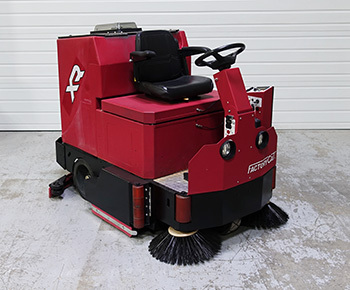 This eliminates the need to pre-sweep any area and increases productivity. 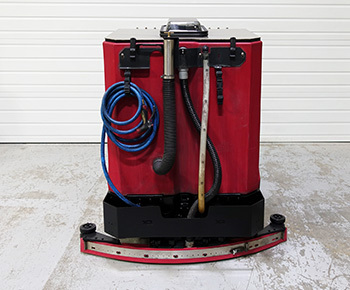 Tip back tanks allow for easy access to filters/pump, valves, vacuum motors, and actuators.